Every first Saturday of the month between April and October the Snowdonia Society are teaming up with the National Trust footpath team to help maintain some of the most popular footpaths in Snowdonia. The majority of the work will be focused around the Ogwen and Gwynant valleys, where we will be helping to pitch stones, clear drains and remove unnecessary cairns. 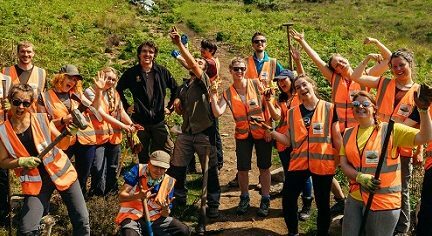 If you love mountain walking in Snowdonia and want to help care for these paths as well as the upland habitats themselves, then these are the volunteer days for you.